This aluminium hay rake from Bulldog's Premier range is similar to a wood hay rake except the working end of the tool is all metal for strength. This makes it ideal for tougher use. The rake has larged spaced teeth, which help to collect the hay in economical quantities. 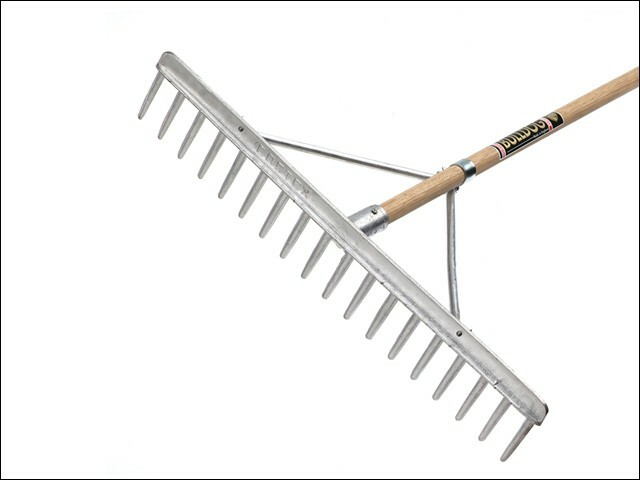 It is perfect for hay raking, shaping and levelling newly dug beds, collecting grass clippings and raking up leaves. The rounded metal teeth skim along the ground without snagging or digging in.